Case Mini Trapper Knife, Damascus steel clip and spey blades; Peach Seed Jig Crimson Bone handle, 3 1/2" closed. Made in the USA. 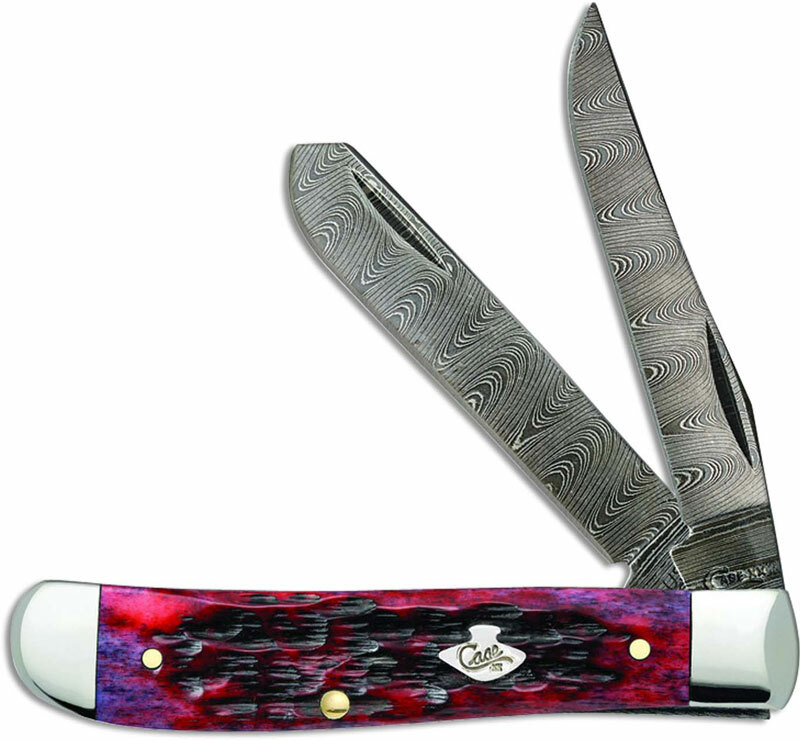 The Limited Case Damascus Crimson Bone (6207DAM) Mini Trapper Knife features clip and spey blades made of Damascus steel with nail nicks for opening. The Peach Seed Jig Crimson Bone handle of this Case knife, 3. 1/2 inches closed, has a Case Shield and nickel silver bolsters. The Case Mini Trapper Knife weighs 2.7 ounces. Limited quantities; made in the USA.